When compared to the rest of the fixed-lens camera market, the Fujifilm X-S1 is simply one of the top models out there. Its large manually controlled zoom lens, fast response times, vibrant images, and extensive feature set easily place it near the top of the list of desirable fixed-lens digital cameras. Probably not too surprisingly, the X-S1 carries a really high suggested price tag, too, of around $800. 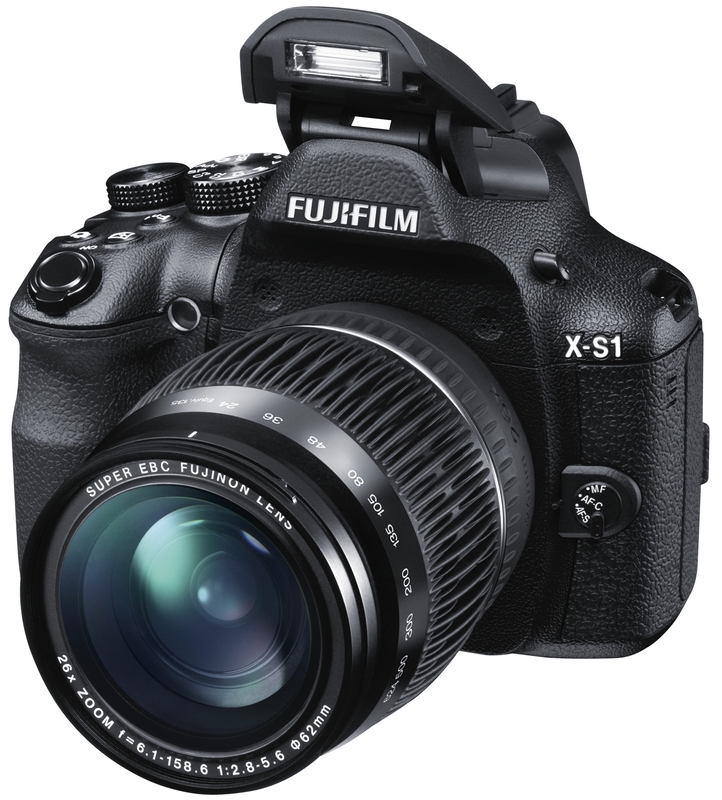 Shop around, because if you can find the X-S1 at a price a bit below the suggested cost, it's well worth strong consideration. Read more in our Full Conclusion. For 2012, FujiFilm has really brought out the 'big guns', as can be seen with the new X-S1. This model is a cross between their popular HS series of high-end super-zooms, and their newer X series of high-end dSLR-like cameras like the X100 and X10. The X-S1 brings a lot to the table, with exposure options to suit the needs of just about any level of photographer. From EXR Auto to full manual, the X-S1 has you covered. On top of this, the camera uses a larger (in consumer camera standards) 2/3", 12-megapixel EXR CMOS image sensor, which they promise will bring a high level of image quality with some help from the camera's FUJINON 26x optical zoom lens; which covers an impressive range of 24-624mm, with a maximum aperture range of f/2.8-5.6. Other appealing features include a high resolution EVF, Fuji's all new "Intelligent 2x Digital zoom" (which doubles the X-S1's zoom capabilities with minimal sacrifices to resolution and image quality), true Optical Image Stabilization (OIS), up to 7fps burst mode shooting at full resolution (10fps at lower res), a heads up eye sensor for switching to the EVF, Full 1080p HD video at 30fps with stereo sound (h.265 format), RAW and JPEG image formats, and a Li-ion power source good for up to 500 shots on a single charge. Fujifilm's X-S1 is available now, with a MSRP of $799.95 USD. See our Lowest Price button at the top right of this page for the best price currently online.